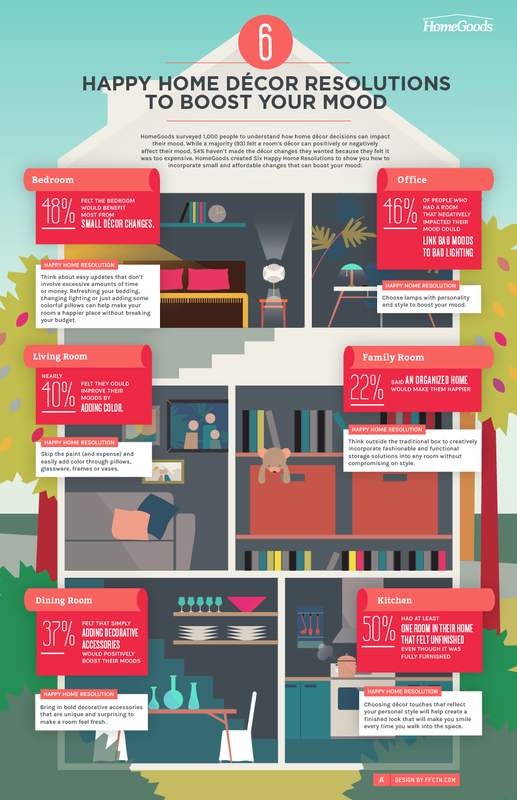 6 Happy Home Decor Resolutions to Boost Your Mood [Infographic] ~ Visualistan '+g+"
A team surveyed 1,000 people to understand how home decor decisions can impact their mood. While a majority (93) felt a room's decor can positively or negatively affect their mood. 54 haven't made the decor changes they wanted because they felt it was too expensive. HomeGoods created six happy home resolutions to show you how to incorporate small and affordable changes that can boost your mood.